Kana and Kanji, which are typical Japanese scripts, may look similar in some aspects as they belong to almost the same genre. But one can come across more differences than similarities between kana and kanji. While Kanji is logographic Chinese scripts, Kana is syllabic Japanese characters. Kanji, which was developed in China, are phonetic, ideographic and pictographic characters. Though most of the kanji characters were developed in China, some of the characters were developed in Japan. Well, Kanji is known to be more complex than kana scripts. Kanji scripts have different meanings and different pronunciations depending on how they are combined with kana and other kanji scripts. When talking about kana, each character represents one syllable. A kana script comes in hiragana and katakana. The first kana script can be traced to man’yogana, a set of kanji system. The kana script is believed to have been invented in the ninth century by Buddhist priest Kukai. Well, the present set or form of kana was codified in 1900, and rules came into relevance in 1946. Kanji, which literally means Han characters, was introduced in Japan in the fifth century. As earlier said, Kanji is more complex, containing about 2000 to 3000 characters. But it was in 1981 that the Japan government came up with joyo kanji hyo, which consisted of 1,945 characters and 166 special characters for people’s names. Well, kanji can be said to have some meaning and Kana has no meaning. Kanji is just like English spelling and kana is like English alphabet. 1. kanji is logographic Chinese scripts, kana is syllabic Japanese characters. 2. Kanji is known to be more complex than kana scripts. Kanji may contain about 2000 to 3000 characters. 3. Kanji scripts have different meanings and different pronunciations depending on how they are combined with kana and other kanji scripts. 4. kana scripts, which comes in hiragana and katakana, represents one syllable. 5. The kana script is believed to have been invented in the ninth century by Buddhist priest Kukai. Kanji was introduced in Japan in the fifth century. 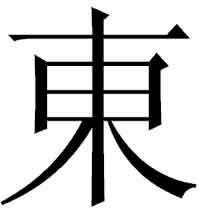 6. kanji just like English spelling have some meaning. On the other hand Kana, which is just like English alphabet does not have any meaning. 7. The present set or form of kana was codified in 1900, and rules came into relevance in 1946. it was in 1981 that the Japan government came up with joyo kanji hyo, which consisted of 1,945 characters and 166 special characters for people’s names. What is the Difference Between “Script” and “Screenplay”? Prabhat S. "Difference Between Kana and Kanji." DifferenceBetween.net. January 10, 2010 < http://www.differencebetween.net/language/difference-between-kana-and-kanji/ >.